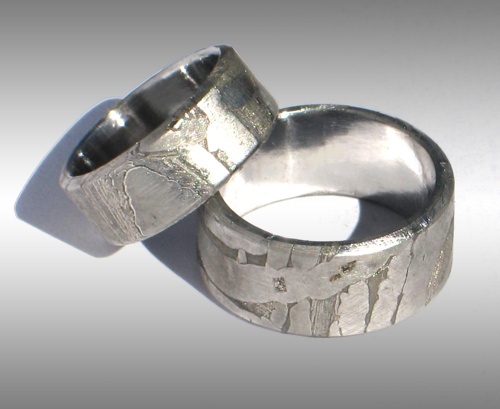 Style #017: Matching Set of beautiful, flat-topped Custom Seymchan Meteorite Rings with beautiful Widmanstatten patterns. These Unique rings are shown in a size 7 and 4.1. Please enquire for price!